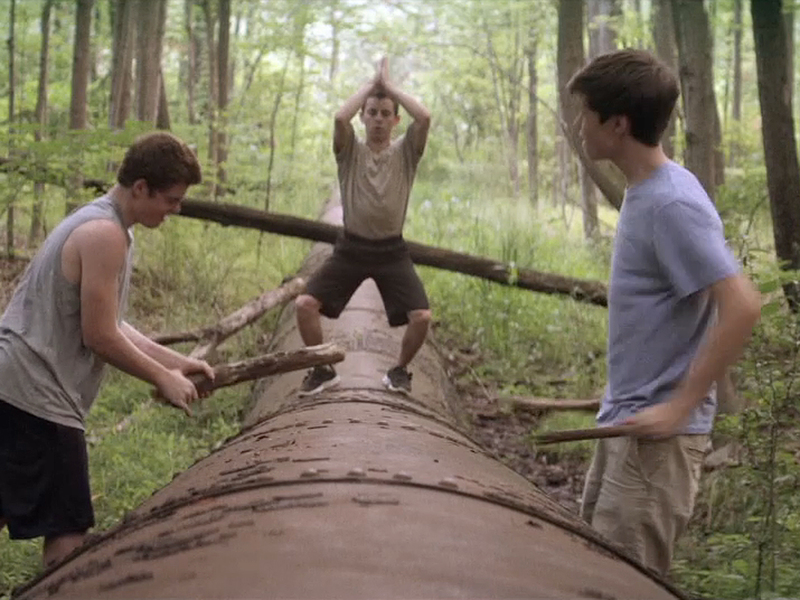 Three friends (Joe, Patrick and the brilliantly eccentric Biaggio) leave home to go live in the woods. Joe’s dad is overbearing and opinionated and his sister who deflects some of the verbal abuse from Joe’s dad, is leaving home. Patrick’s parents are just annoying, so much so that it’s causing Patrick to break out in hives. Biaggio on the other hand just wants to tag along, and you’ll be glad he did. He is by far the best character in the movie. He brings comedy and heart to the role, he is funny and quirky and surprisingly courageous. The three friends enjoy late nights, meals, hunting for food and other outdoor activities, all before a girl comes along and throws everything into chaos, jeopardising friendships on which the boys depend on to survive. It deals with growing up, and I found myself close to tears at times in how well it captures the complexities of friendships when girls come into things and hormones run wild. People will compare it to ‘Stand By Me’, and I guess there are similarities, but each film is brilliant in it’s own right and it’d be unfair to pick one over the other. All I will say is seek it out and watch it for yourself. You’ll be glad you did.